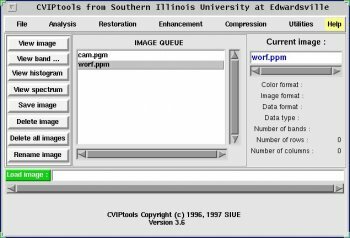 CVIPtools is a collection of computer imaging tools providing services to users at three layers. At the bottom level are the CVIPtools libraries (the application programming interface). Based on the CVIPtools libraries are the cviptcl and cvipwish shells. The cviptcl shell is an extension of Tcl with additional CVIP capabilities. With cviptcl, the user can either use the command line for interactive image processing, or write cviptcl shell scripts for batch processing. The cvipwish shell is the extension of cviptcl with the added functionality for building a graphical user interface (GUI). 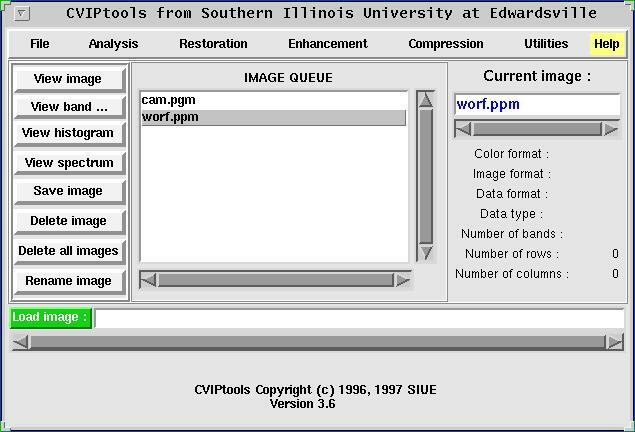 On the top is the CVIPtools GUI which allow even the casual computer users to experiment with many of the sophisticated tools available to computer imaging specialists without the need for any knowledge of computer programming.